I took the pants out of the box. I was really impressed with the construction of the pants. 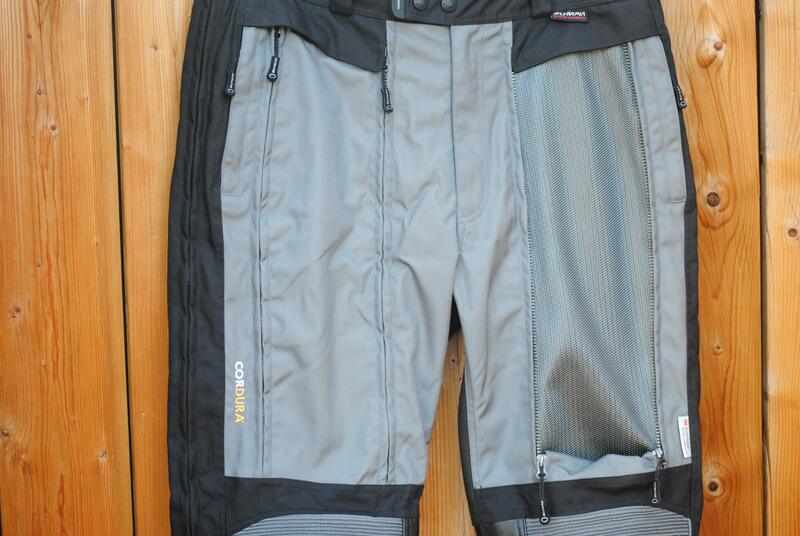 They are Cordura © fabric with leather on the inside of the pant. Really nice heavy duty zippers with nice pulls as well as belt loops. The inside layer features a rain pant that is designed to be used inside or outside the pants. Constructed in 500 and 2000 denier Cordura® fabric in strategic areas. Quality YKK Zippers throughout including full side leg zippers that extend to the waistband. MVS Mega Vent Panel System in the thigh area and cool mesh airflow lining throughout. Removable and adjustable height CE approved Motion Flex armor at the knees. 3M Scotchlite © reflective piping from hem to waist. Two side entry zip pockets and two rear flap pockets. An 8” zipper is located at the back waistline to connect the pants with the Jacket. Washable leather reinforcement panel from the thigh to the hem bottom.